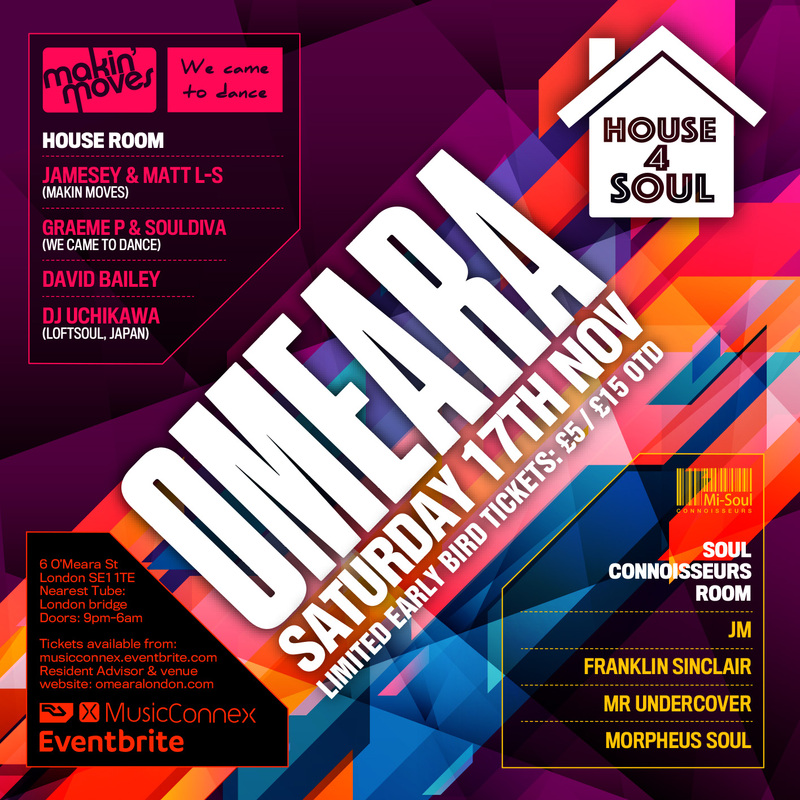 This month Makin’ Moves co-host the House Room with our good friends We Came To Dance aka Graeme P & SoulDiva! Matt & Jamesey will be fresh from their trip to ADE in Amsterdam and armed with the latest Makin’ Moves exclusive releases for you! If you’ve not been to a We Came To Dance event, they are second to none! Initmate gatherings with only quality house music on the menu but also very social with great people and we look forward to joining forces with them for the first time! Also on the bill is David Bailey who will be in the house celebrating his new release with ShezAr on Makin’ Moves Records. Also all the way from Japan we have our good friend DJ Uchikawa who is one of the best DJs in the world and we are very excited to welcome him back! In the Soul Connoisseurs Room, JM is joined by Morpheus Soul, Mr Undercover and Franklin Sinclair! Very limited £5 tickets available from Resident Advisor and Eventbrite! London’s favourite deep house label Makin’ Moves now into its sixth year release their third compilation of tracks. The compilation features 14 hot tracks released in the last year including DJ Beloved remixes of Ding Ding with Omar on vocals and also his remix of Kissing You featuring Lifford which was also a big hit for label. Other artists also featured on the comp include Sheldon So Goode, Alton Miller, Dihann Moore, Ahmad Larnes, Stealy Vybe and Aisling Iris to name but a few. As a bonus you can also pick up the exclusive Loftsoul Retouch 2008 of ‘Dear Friend” sung by Lisa Millet a track licensed from our good friend DJ Uchikawa aka Loftsoul from Japan just for the compilation! 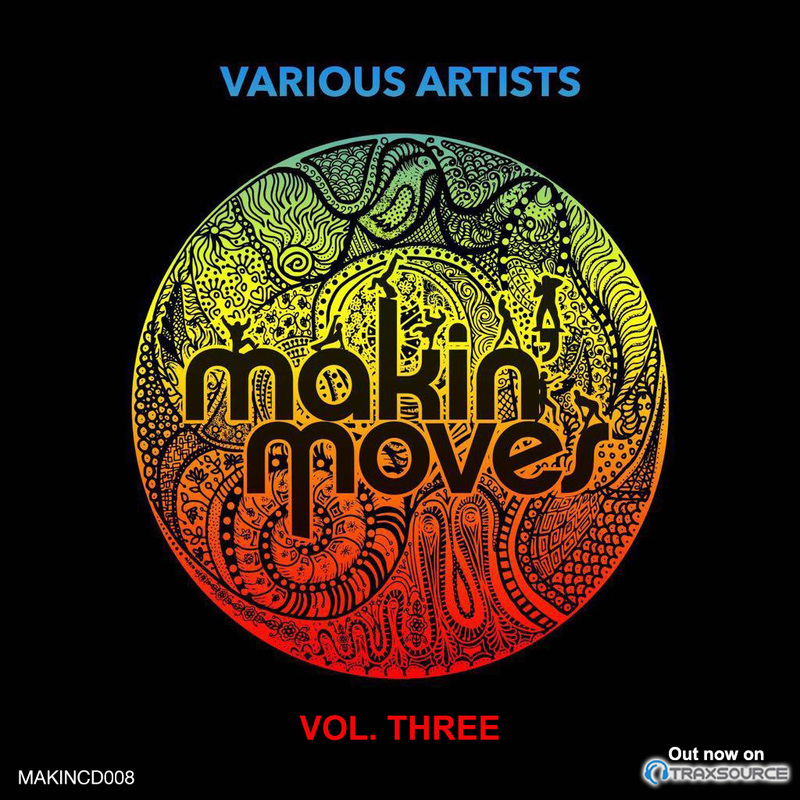 The compilation is available exclusively on Traxsource.com from Monday 15th October.